The Slipper Chapel statue of Our Lady of Walsingham has begun a two-year tour of England’s Catholic cathedrals and is coming to our diocese in two weeks’ time, from 19-21 July. The tour, which began with a visit to Liverpool’s Metropolitan Cathedral in June, is intended to help prepare Catholics spiritually for England’s rededication as the Dowry of Mary in 2020. Each visit takes place between a Thursday and a Sunday and involves a three-day triduum of prayer. There are talks on the Dowry of Mary, an evening of Adoration, and a day set aside for visits from primary and secondary schools. For the full schedule go to www.dowrytour.org.uk. 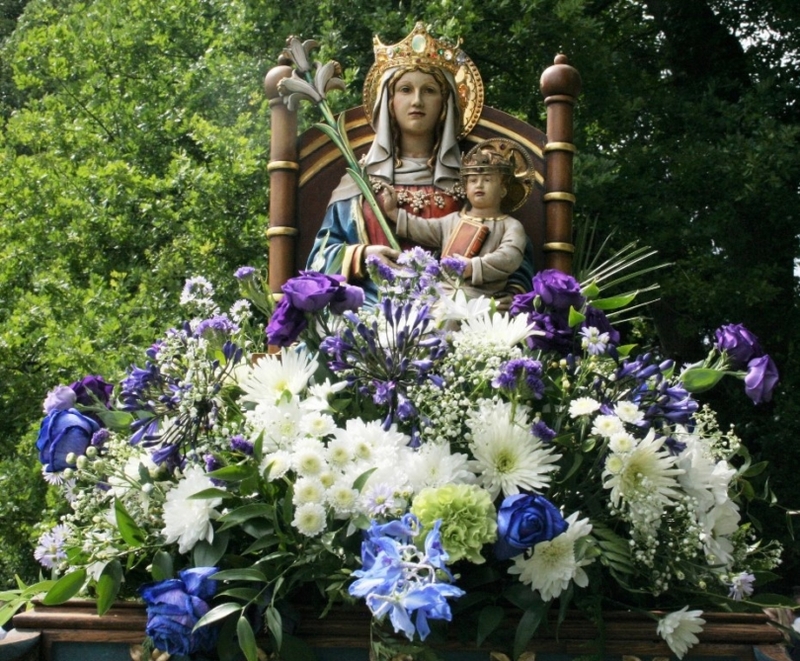 The tour is being jointly organised by the Shrine of Our Lady of Walsingham and the Guild of Our Lady of Ransom, a group founded in 1887 that seeks “the conversion of England and Wales, the restoration of the lapsed, and prayer for the forgotten dead”. The term “Dowry of Mary” is thought to have originated in the 11th century. It means that England has been “set apart” for Mary. In 1350 a mendicant preacher remarked in a sermon that “it is commonly said that the land of England is the Virgin’s dowry”. An artwork known as the Wilton Diptych depicts the 14th-century King Richard II setting aside England as Mary’s “dos”, or donation or dowry. The country was dedicated as the Dowry of Mary by Cardinal Bernard Griffin in 1948. Cardinal Vincent Nichols has called the rededication a “moment of great promise … for the Church in this country and for our mission”.